Delivering packages since 1907, UPS is the leading global provider of specialized transportation and logistics services. An integrated network of physical and human assets, UPS provides a powerful competitive advantage with its advanced technology and its access to global resources. 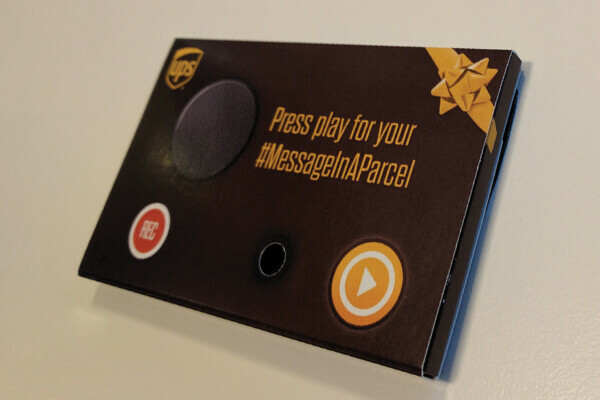 Using bigDAWGS’ Musical Gift Tags, UPS is sending out love and positivity in a box this holiday season. Go the extra mile by recording your own message and sending it to your family and friends. Ship big with no stress, with UPS you spend less!